Why are traditions so important? They knit a family together providing constants in a world of change, reliability in a world of unknowns. They tell our children this is who we are, this is what is important. Traditions bridge generations, link us to our past, and pave a solid road toward the future. 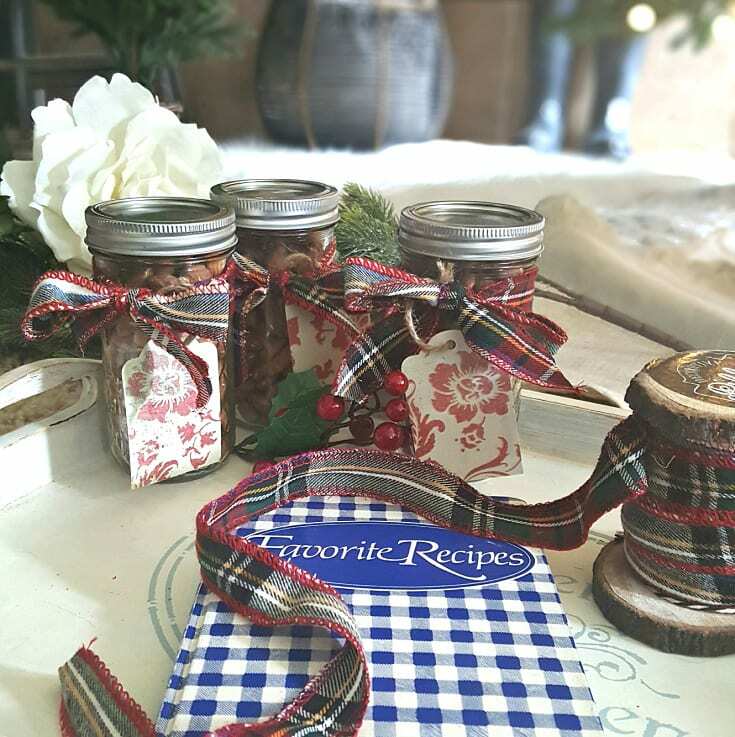 Traditions are a family’s love language spoken over time…what are yours? From special Christmas trees and family get-togethers to baking and gift giving we hope you’ll enjoy learning about our special traditions. Maybe you’ll get an idea or two to start a tradition of your own. 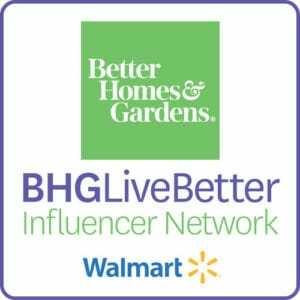 Jodie and I are honored to be part of The Better Homes & Gardens at Walmart Influencer Network. We love representing a brand that provides quality style at affordable prices. We receive compensation for our time and efforts in creating this post. 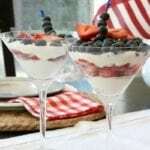 Our convenient shopping links help support our blog work but add no additional expense for you. All our opinions are authentically our own, and as always we hope you enjoy. 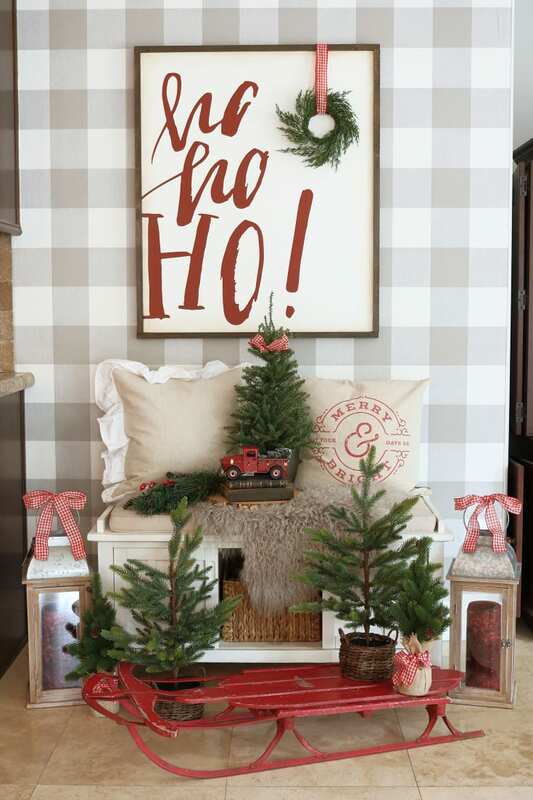 To enjoy more creative holiday decorating ideas from the BHG Live Better Influencer Network click HERE. 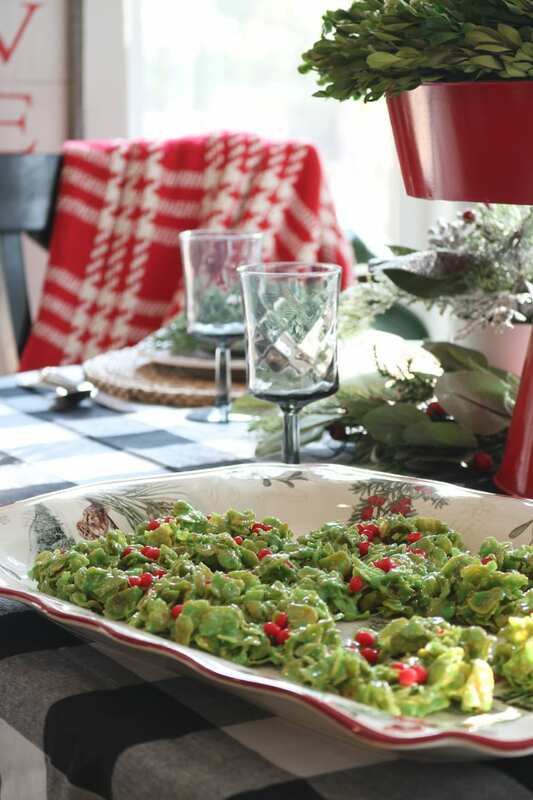 This affordable, quality holiday dish set is a dream! The look, feel and price of this beautiful Better Homes & Gardens Heritage Collection Holiday 16-piece set available exclusively at Walmart is an incredible value. Click on the photo below to see more details and purchase. Sometimes the quiet moments are the best moments. 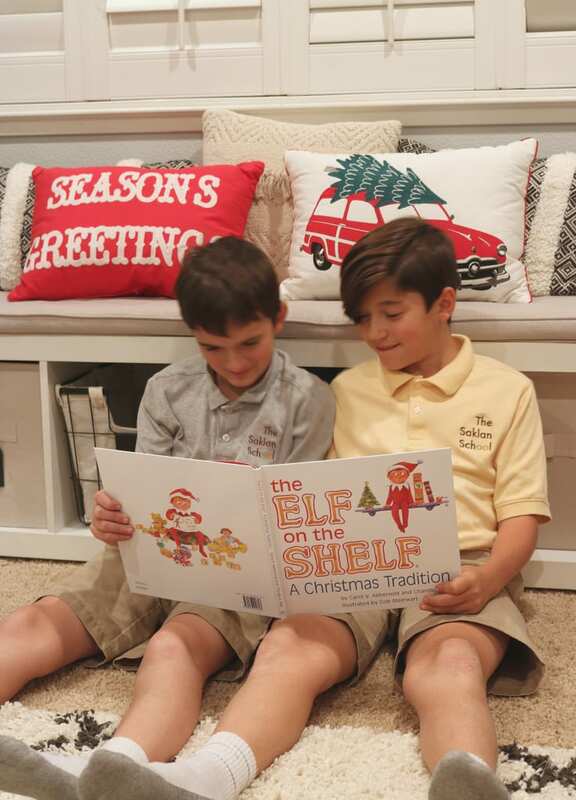 We’ve always had the tradition of reading Christmas classics with the boys. When they were very young we of course did the reading. Now they do the reading. We evolve as the children age, but the traditions remain. It’s wonderful to see the boys’ motivation to keep the traditions alive. It shows us how important they are to them. Three of their all-time favorites are The Grinch Who Stole Christmas, ‘Twas The Night Before Christmas, and of course, Elf on The Shelf. My boys especially adore the interactive fun of hiding and searching for the Elf! When they were younger I’d do the hiding and they’d do the seeking. Now they are master hiders and we all do our best to find him. Soooo…in honor of this delightful family tradition we want to play the game with you! Look through the photos in this post carefully. Somewhere we have carefully hidden the Elf! Comment below if you can find him 🙂 What fun! Click on the pillows below to purchase. 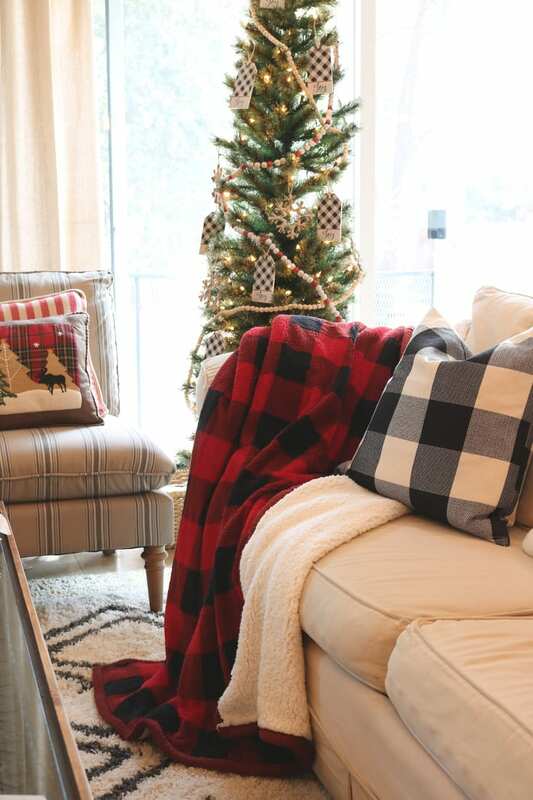 Everyone in the family fights over this new buffalo plaid sherpa throw perfect for all winter long. It’s oversized and incredibly cozy, not to mention too darling for words! Another incredible value from Better Homes & Gardens collection from Walmart. 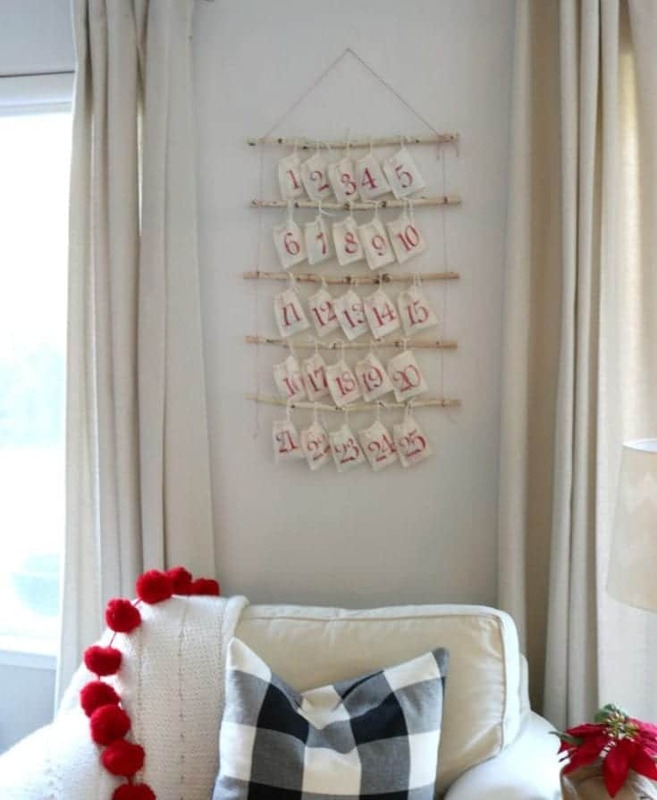 Holiday decorating is so much fun! I especially love my new farmhouse-inspired rustic wood and metal lanterns from Better Homes & Gardens collection available only at Walmart. 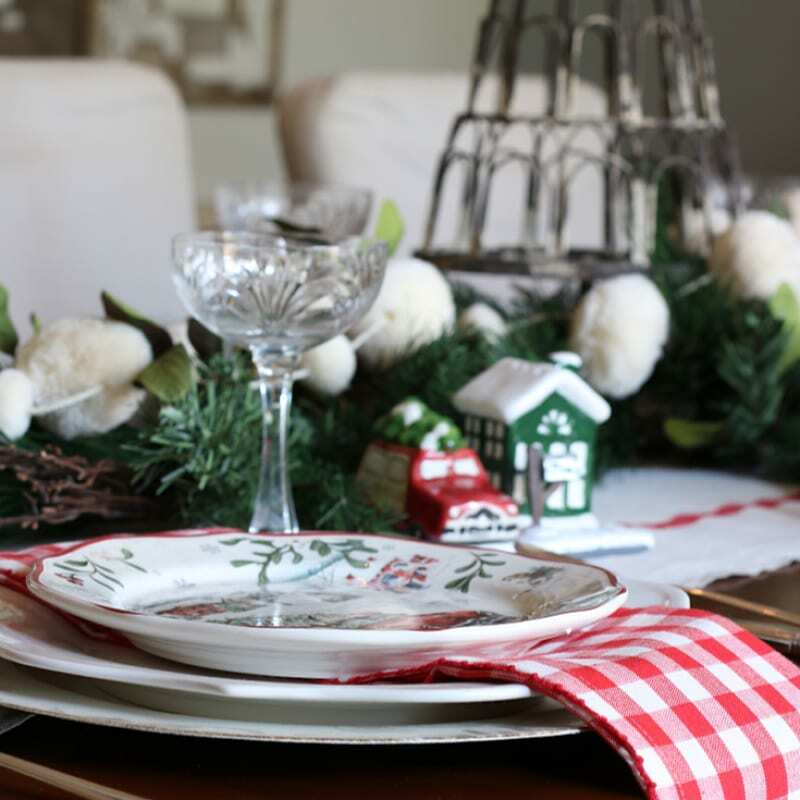 It was so easy to add some ribbon and my favorite festive candles to complete the look of this holiday vignette. Once again, I’m so impressed with the quality and value of these products. Click on photo below to shop. Being decorators it can be hard to “let go” of the decorating and allow the kids to “help”. That’s why I’m particularly proud of the tradition we uphold in our family. Every year we let my boys, Roan and Reese, choose their own live Christmas tree. My discipline to hold back advice or even direct begins here, My Friends. They get to choose without any influence on my part (as hard as this is). I consider it practice in self-control, which of course is greatly rewarded by their joy! Then the tradition continues as we allow them to decorate their tree however they choose. When they were little we had a bag of shatter-proof ornaments that were just for them. Now, of course, they can pick and choose any ornaments they want. They love this freedom of expression, and each year they seem to get more and more creative. This tree is not hidden away in their bedrooms but showcased in the entryway of our home. I treasure seeing their pride as they show off their tree to all who enter. It has become one of their favorite activities of Christmas. When the boys were little I bought a cute little wooden advent Calendar and placed it in the center hallway. Every morning during the Christmas season I would wake the boys up with the reminder that they had another door on the calendar to open. This realization would spur them out of bed and start the day in a flurry of excitement and chocolate! Breaking my “mom rule” of no sweets for breakfast was a small price to pay for the joy this holiday tradition brought! Last year I made a new advent calendar and the boys just loved it! Here’s a link to the blog post for all the details to make this part of your family holiday traditions! My older son Roan asked if he could help fill it He had so much fun being “in charge” of choosing which chocolates to select for each day making it even more special for him and his brother. It’s fun to see how the children are making these traditions their own as they grow and mature. And it’s fun to see that even as they get into middle school they aren’t too old (yet) for many of the traditions they enjoyed as toddlers. We are fortunate to live close to lots of family. Since my husband Bill grew up in the San Francisco Bay area we have lots of family in surrounding suburbs. We all get together for Thanksgiving, Christmas, Easter and July 4th with big parties. This group is 45-55 strong! We swap houses and take turns hosting and all pitch in together to make it work. Everyone brings delicious foods and helps out. These regular events have kept the family connected over the years. Christmas dinner is especially festive! 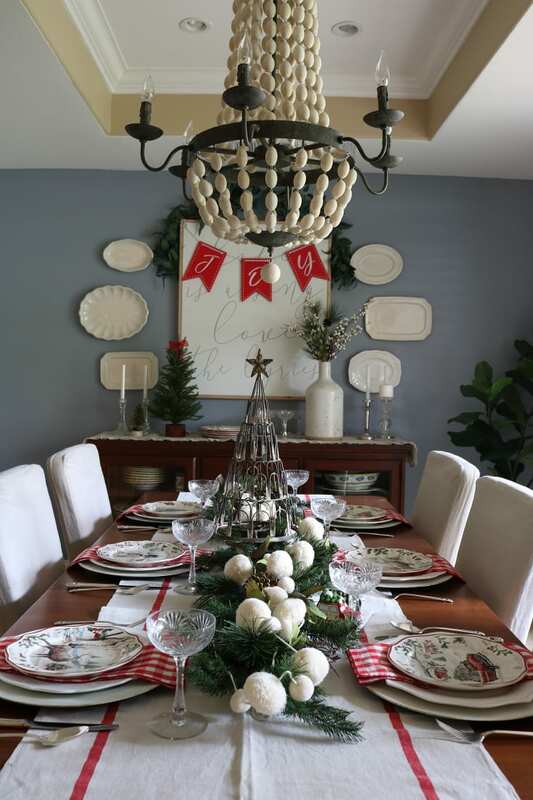 I rent tables and have a ball creating festive tablescapes. The food is always incredible as is the conversation and love shared. Some people dread seeing family during the holidays, but we are honestly so very blessed to have the most loving, wonderful family! 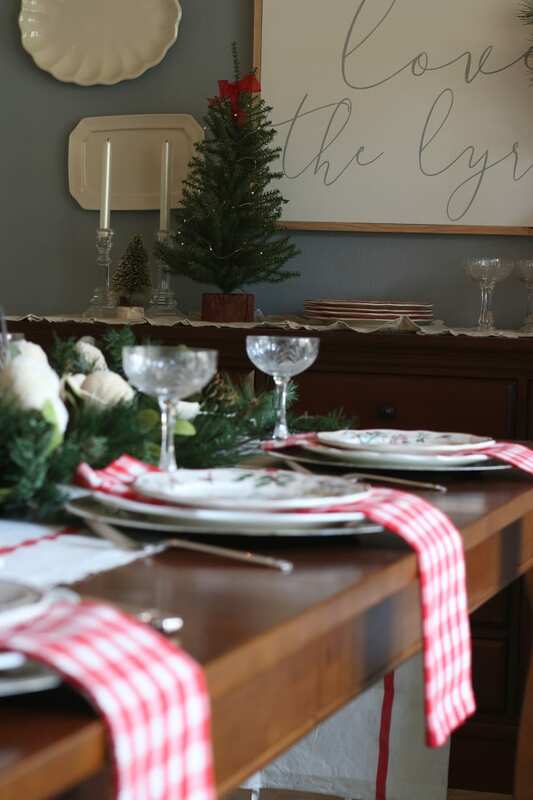 Part of the tradition of these holiday meals is creating an excuse to use special dinnerware that belonged to both my husband’s and my grandmothers. 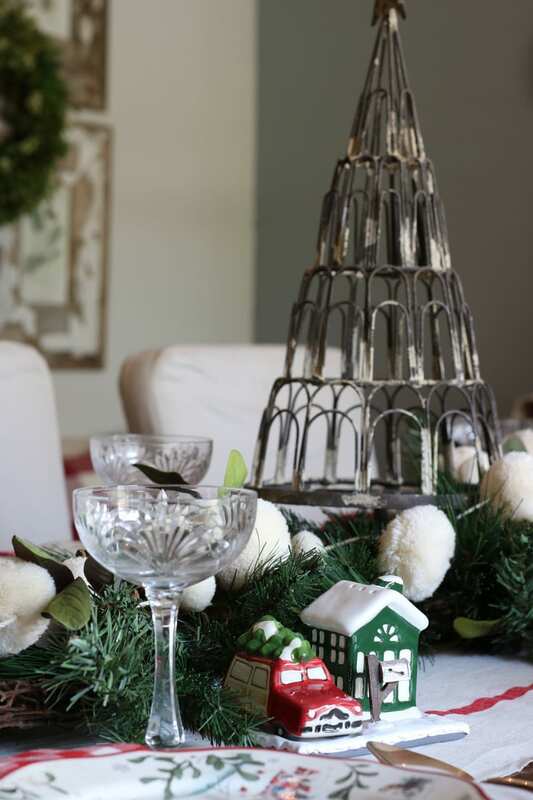 The vintage crystal champagne glasses came from Austria and belonged to Bill’s grandmother whom he has an especially dear relationship with throughout his life. The antique silverware belonged to my grandmother Nan and was one of her most cherished possessions. Every time I set the holiday table it reminds me how much she loved us and all the memories we shared. 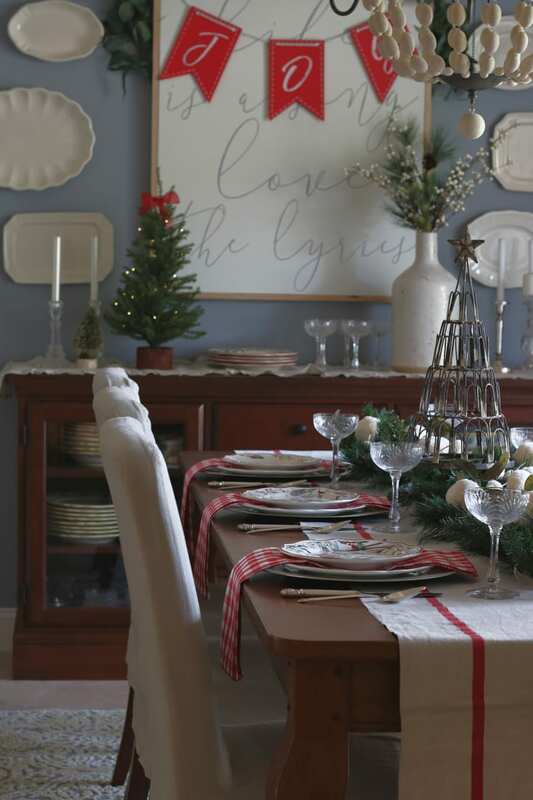 This is why I love Better Homes & Gardens Heritage dinnerware and serve ware so much! 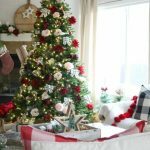 The patterns are full of nostalgic charm.They recall memories of Christmases past and conjure up all those sentimental feelings that make the holidays so special. It is no wonder that many of our holiday traditions center around aromas and food, glorious food! The sense of smell is closely linked with memory, probably more so than any of our other senses. One reason is because of the way our brain processes odors and memories. The perception of smell consists not only of the sensation of the smells themselves but of the experiences and emotions associated with these sensations. They create a powerful and an important link to our pasts. And we are creating lasting memories and traditions for our children. Maybe that’s why I love this Better Homes & Gardens candle so much! Their ‘Fresh Cut Frasier’ scented candle reminds me of my childhood growing up. Furthermore, every single Christmas memory I have is wrapped up in this heavenly scent of pine! All I have to do is open the lid and light up this beautiful double wick candle and I am transported back in time! 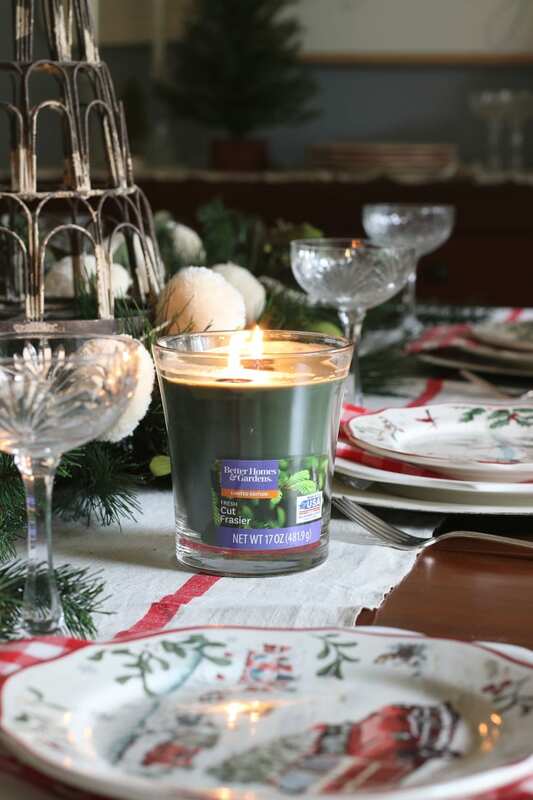 Enjoy this timeless holiday scent in several ways, candles, wax melts, and in a special set that includes: Room Spray, Reed Diffuser and Votive Candle. What a lovely gift this would make! 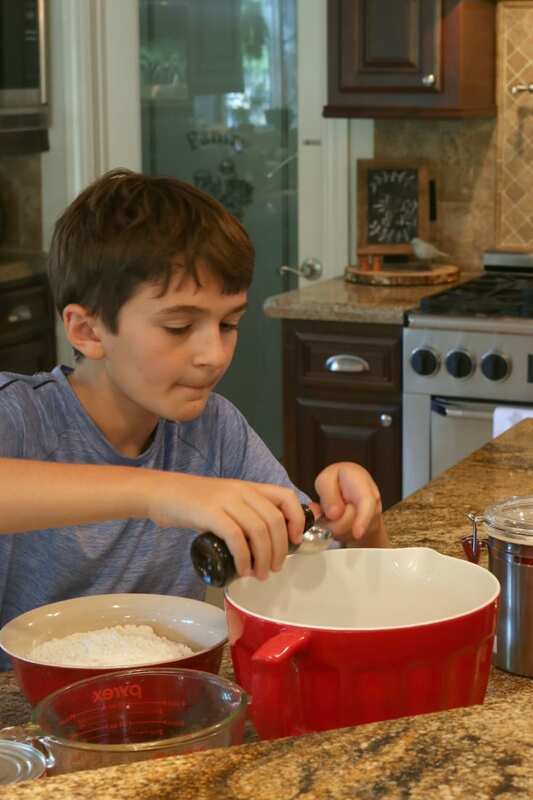 What would the holiday season be without baking? Julie and I began this tradition when we were little girls. It holds special significance because it was with our grandmother. Nan started her holiday baking mid-November and would freeze many of the treats. She had to start early because she baked SO much! She made her famous fudge in huge batches and packaged them up to give to many friends for Christmas. We made all the traditional types of Christmas cookies: sugar cookies, shortbread cookies, snowballs (or Russian tea cakes), and more. 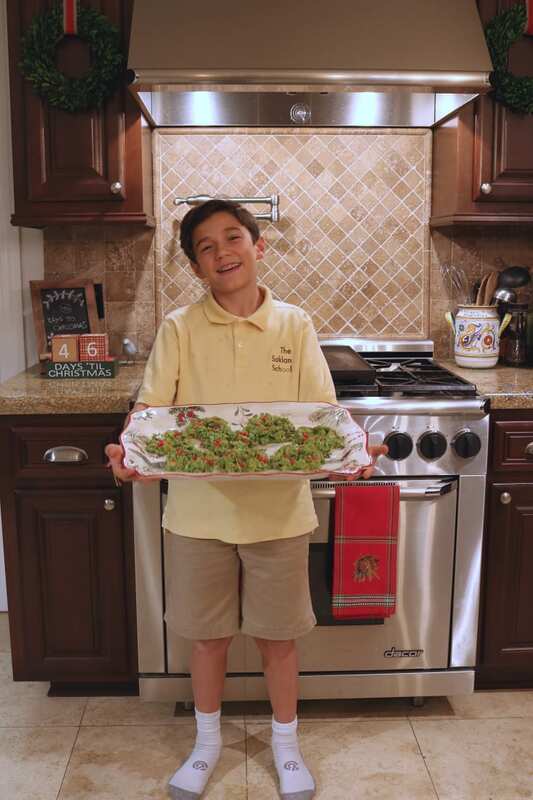 We loved her holiday version of Rice Krispy Treats where she replaced the Rice Krispies with corn flakes, added green food coloring, shaped them into wreaths and added 3 red hots as decorative berries. Two generations later these remain an annual favorite. 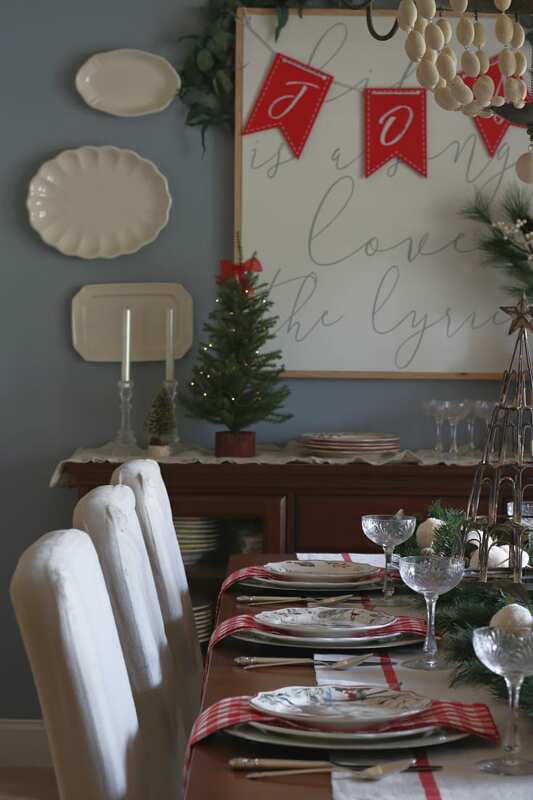 Love this Better Homes & Gardens Heritage Holiday Platter as much as we do? Click here to purchase. Another kitchen tradition that Julie and I have carried on from Nan is her recipe for Ginger Spiced Nuts. 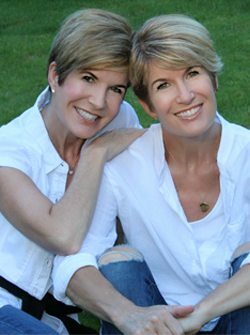 When Julie and I were young married couples living in the suburbs of Chicago the 4 of us actually lived together for several years. It felt very normal for us believe it or not! We did a lot of DIY together and a lot of baking (not cooking, baking 🙂 During the holidays we started the tradition of baking large batches of Nan’s secret recipe for Ginger Spiced Nuts. We would wrap them up in cute packages and give them out to all our friends. I have very few things that I’ve kept since my childhood but this little blue check recipe book (a gift from my grandparents) still holds my favorite recipes. This tradition continues! Now we give them to teachers and husbands’ co-workers as well as friends and neighbors. You can find the original recipe right here. 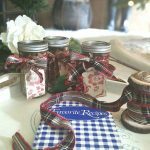 There’s nothing like a homemade gift to make someone feel special! More and more the holidays are all about hustle and bustle with to do lists that make us feel over-burdened and extra stressed. It’s important to carefully choose our commitments, especially during the holidays. 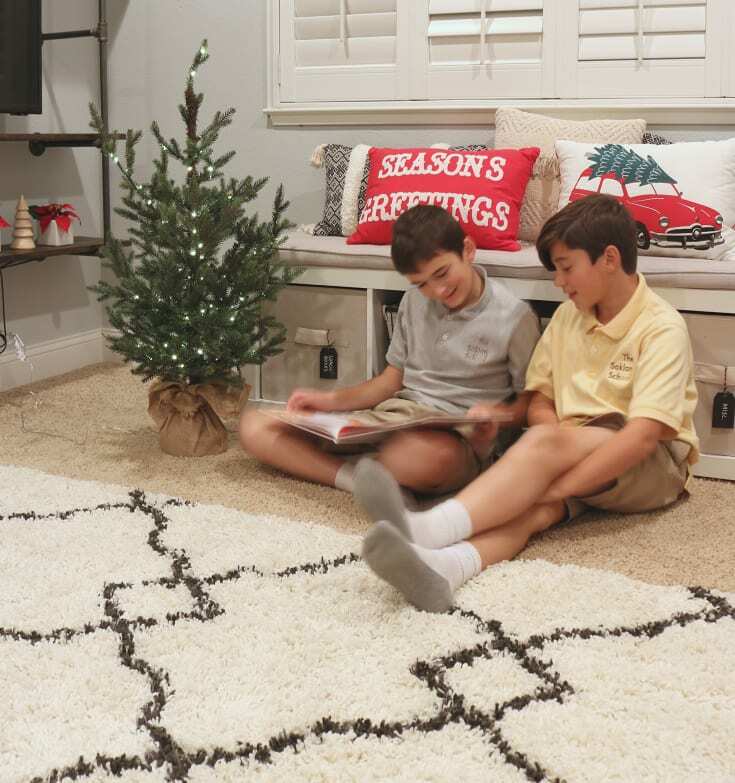 Traditions create bonding moments with our families that force us to slow down and savor. Traditions make us feel grounded. Celebrating traditions link us to past memories and help us create lasting new ones. We hope they do the same for you. We are delighted to share these favorite holiday traditions with you and hope you’ll share some of yours with us! Comment below…maybe we’ll find a fun new idea to incorporate this year! Have a Magical Holiday Season, Dear Friends! P.S. Did you find our Elf?? 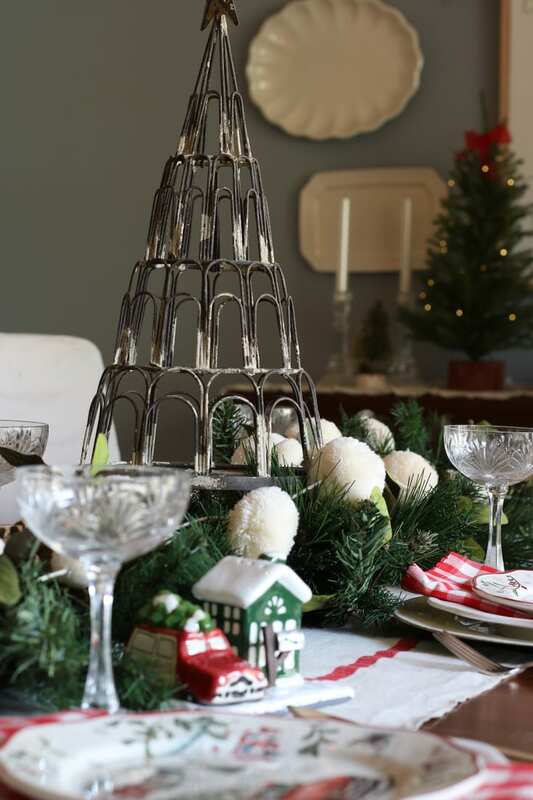 How to Design Your Most Festive Table Ever! 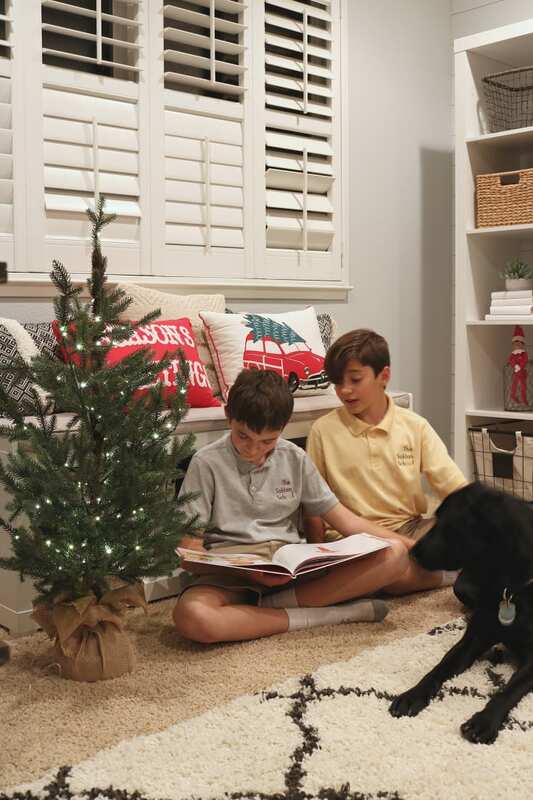 Holiday traditions help us slow down and savor the holidays. They tell our children this is who we are, this is what is important. Traditions bridge generations, link us to our past, and pave a solid road toward the future. Traditions are a family’s love language spoken over time. 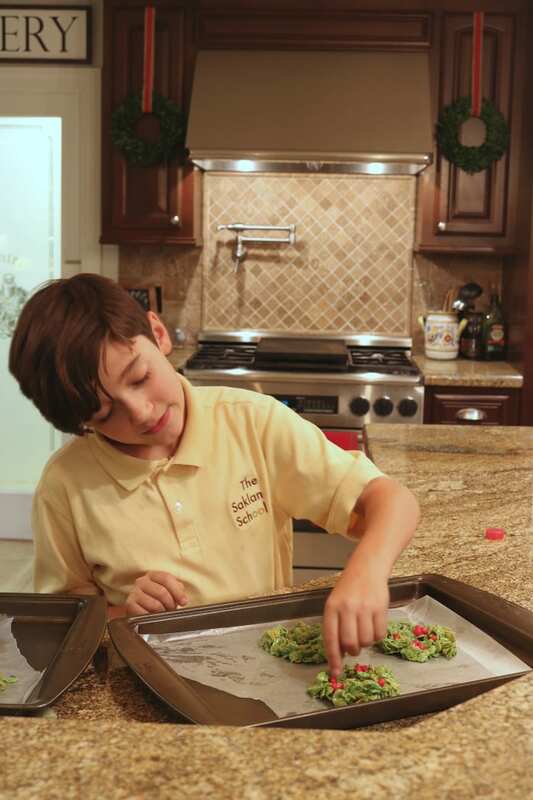 Here are some of our favorite family holiday traditions. Beautifully written ladies…. Love learning about the traditions old and new and ways to carry them into the next generations. 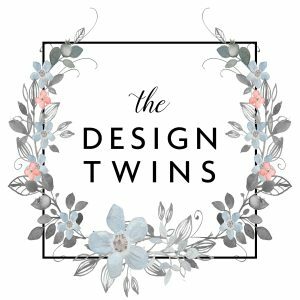 You’ve given great insights and ideas of how to mix the special heirlooms with newer modern pieces and I love that. Sounds like the holidays are pretty special in you family. Thank you for sharing. P.S. I had to go back to find the elf with Rocky and the boys 😉 so cute! I found the elf before you mentioned him, not bragging or anything! I just love elves!😆😆All your decorations are great, love those dishes! Beautiful post. 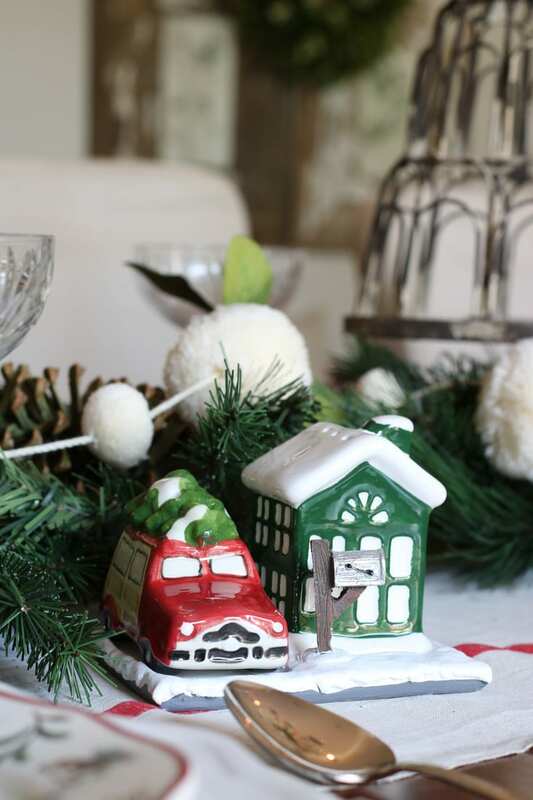 Your house is lovely and looks like the perfect backdrop for more fun traditions. I found the elf with your cute boys. Your post touches my heart and puts me in the Christmas spirit! I collect S&P shakers and hope to add this to my collection. They will also make great gifts. I love that your boys choose and decorate their own tree. More importantly, that you give it a prime place in your home for display! Awesome parenting! I have the same blue and white check book to hold my recipes since childhood. Gave me a big smile to see yours. Thank you for incorporating your own traditions into an article filled with ideas for new traditions and where to find special goods. I spied the Elf, and your boys are SO cute. How lucky you are to still have relatively little ones in the house. It’s not the same when they move… sniff sniff. Everything is so lovely! 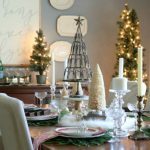 I enjoyed reading all the suggestions and ideas for a family Christmas! Those dishes are so cute and you are making me want them! Wal Mart sure has stepped up their game with so many cute things in decor and their clothing too!